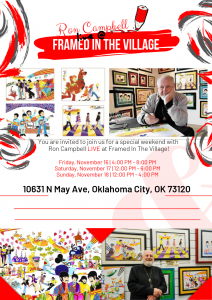 It is our pleasure to invite you to a special pop-up art show with retired animator/director/producer Ron Campbell at Framed in the Village! 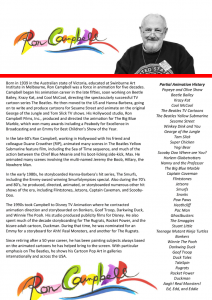 Ron was of the animators on the Beatles film Yellow Submarine and Director of The Beatles 1960s TV cartoon series. Ron was also involved in over 50 years of cartoons including Scooby Doo, The Smurfs, Rugrats, Flintstones, Jetsons, Winnie the Pooh, George of the Jungle, Yogi Bear and much more. (His PBS show the Big Blue Marble won his studio an Emmy and a Peabody). Also, 2018 is the 50th anniversary of the Yellow Submarine film release and the Beatles company just re-released the film to the theaters! In his retirement, Ron appears occasionally at art shows throughout the world where he showcases his pop art paintings based on the Beatles cartoons (plus some of his other popular shows). At these shows, Ron does personal paintings on the Letters of Authenticity for customers who purchase any of his works! This promises to be a spectacular weekend that will surely provide everyone involved with memories to last a lifetime. 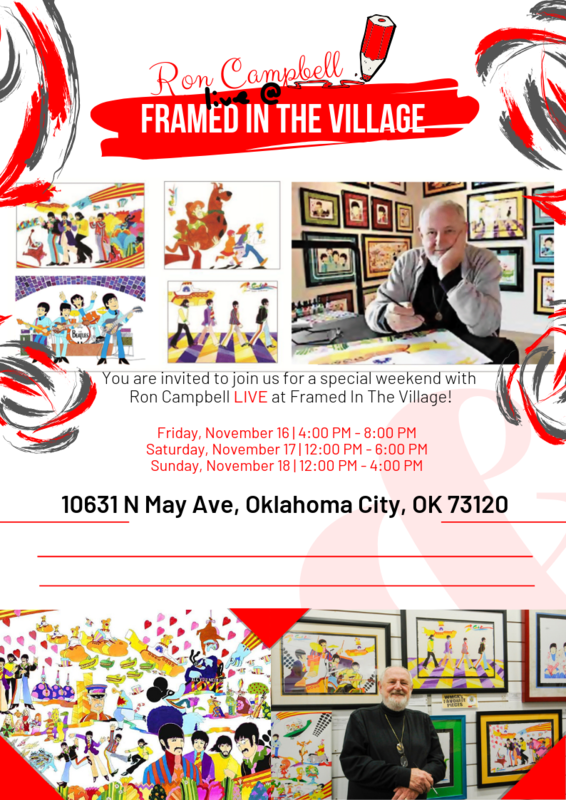 We hope to share this tremendous occasion with you here at Framed in the Village!